Holly Schlaack has devoted her career to advocating for foster children. She is a former children’s services caseworker and Guardian ad Litem charged with representing the best interests of abused and neglected infants and toddlers in court. She created and managed an award-winning program, Building Blocks, while supervising and mentoring Court Appointed Special Advocates (CASAs), and co-founded the Southwest Chapter of the Ohio Association for Infant Mental Health. She is a highly-regarded speaker who trains nationally on topics related to protecting and supporting very young children. 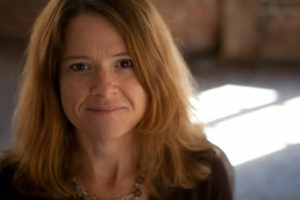 Holly is the author of Invisible Kids: Marcus Fiesel’s Legacy. As a voice of compassion, experience and common sense, Holly is routinely sought out by political and other leaders to advise on issues related to systemic and legislative change. Holly and her husband, Ed, live in Cincinnati, Ohio. They are the proud parents of Hanna, Grace and Ben.